Buy from Twisted and Support RITZ! Track Days are Educational & FUN! 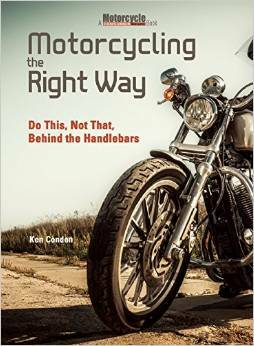 Buy from here and Ken will get an autographed copy of his NEW book, "Motorcycling the Right Way" to you right away. 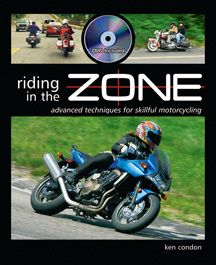 Click the book to buy the e-version (PDF) of "Riding in the Zone". The print version is currently sold out. GREAT GIFT IDEA! Choose from one of the 3 t-shirt designs. Or, how about a coffee mug to keep your coffee warm this winter? A great way to support RITZ.